The Death of Marat (French: La Mort de Marat or Marat Assassiné) is a 1793 painting by Jacques-Louis David of the murdered French revolutionary leader Jean-Paul Marat. 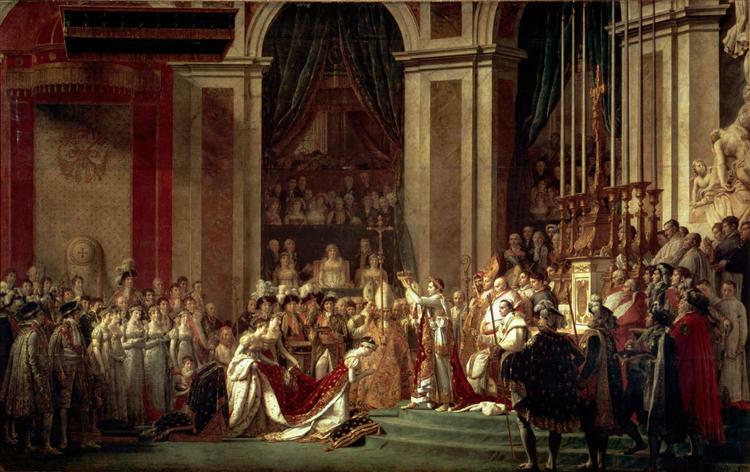 It is one of the most famous images of the French Revolution. 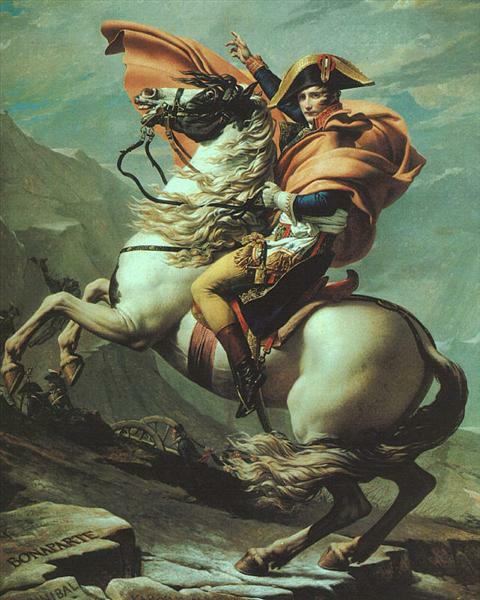 David was the leading French painter, as well as a Montagnard and a member of the revolutionary Committee of General Security. 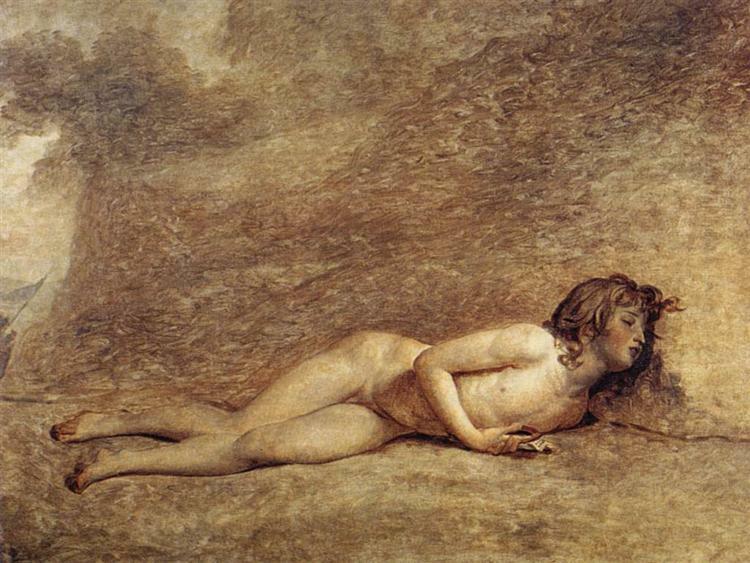 The painting shows the radical journalist lying dead in his bath on 13 July 1793 after his murder by Charlotte Corday. 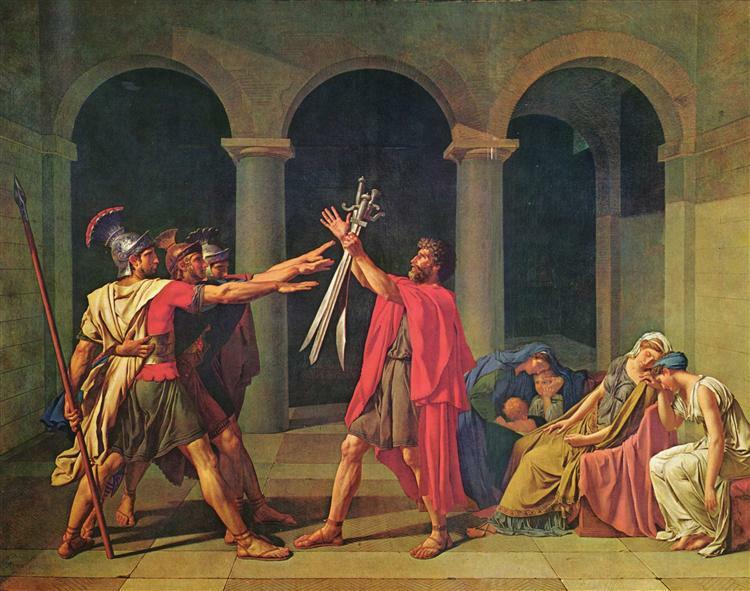 Painted in the months after Marat's murder, it has been described by T. J. Clark as the first modernist painting, for "the way it took the stuff of politics as its material, and did not transmute it". Marat (24 May 1743 – 13 July 1793) was one of the leaders of the Montagnards, the radical faction ascendant in French politics during the Reign of Terror until the Thermidorian Reaction. Charlotte Corday was a Girondin from a minor aristocratic family and a political enemy of Marat who blamed him for the September Massacre. 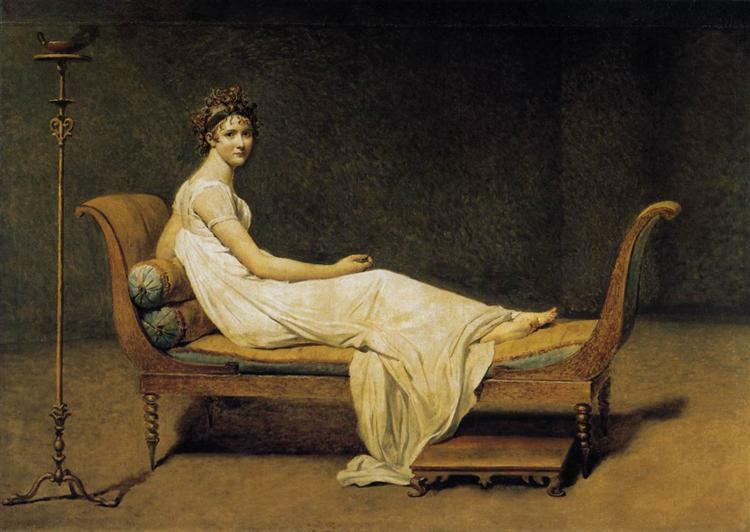 She gained entrance to Marat's rooms with a note promising details of a counter-revolutionary ring in Caen. Marat suffered from a skin condition that caused him to spend much of his time in his bathtub; he would often work there. 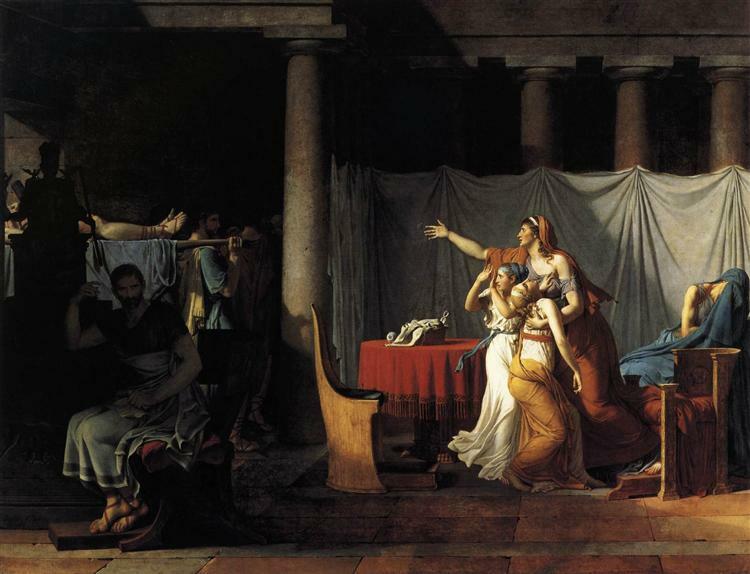 Corday fatally stabbed Marat, but she did not attempt to flee. She was later tried and executed for the murder. As well as being the leading French painter of his generation, David was a prominent Montagnard, and a Jacobin, aligned with Marat and Maximilian Robespierre. A deputy of the Museum section at the Convention, he voted for the death of the King, and served on the Committee of General Security, where he actively participated in the sentencing and imprisonment of many and eventually presided over the "section des interrogatoires". He was also on the Committee of Public Instruction. 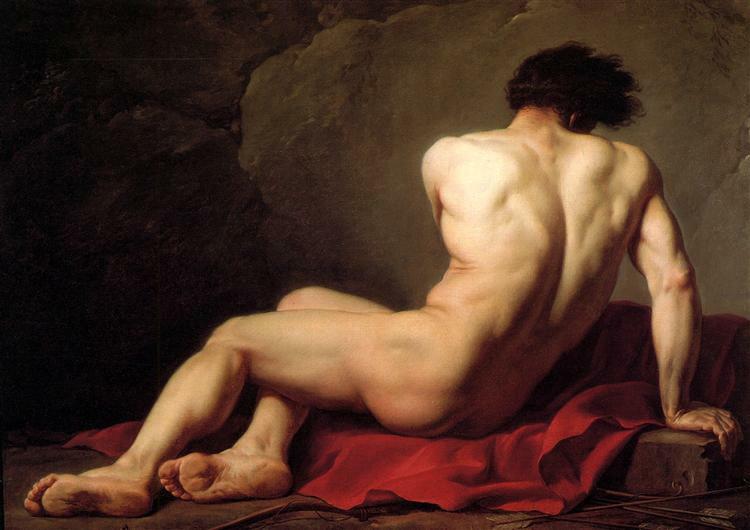 Marat's figure is idealized. 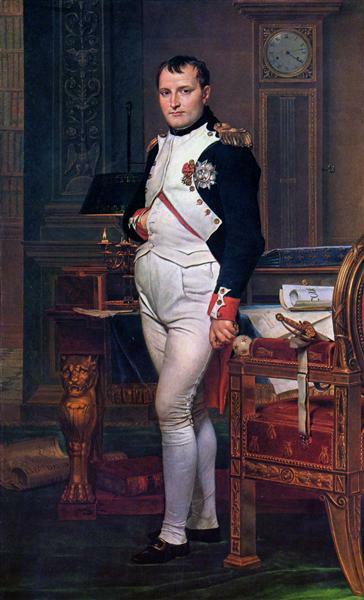 For example, the painting contains no sign of his skin problems, his skin appears clean and unblemished. David, however, drew other details from his visit to Marat's residence the day before the assassination: the green rug, the papers, and the pen. 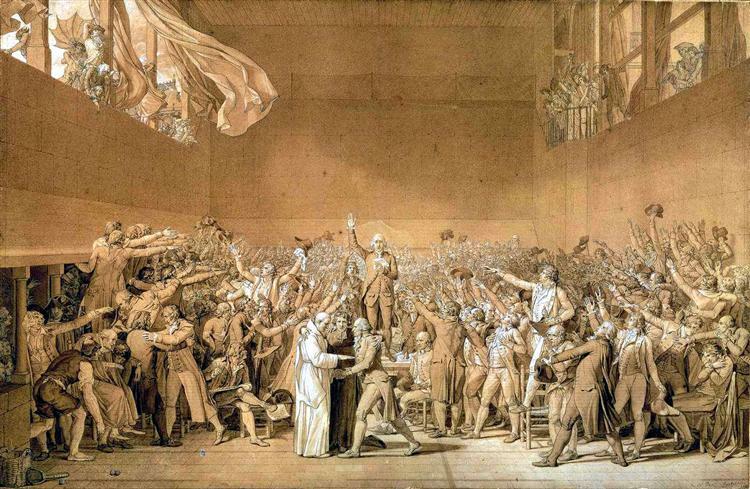 David promised his peers in the National Convention that he would later depict their murdered friend invocatively as "écrivant pour le bonheur du peuple" (writing for the good of the people). 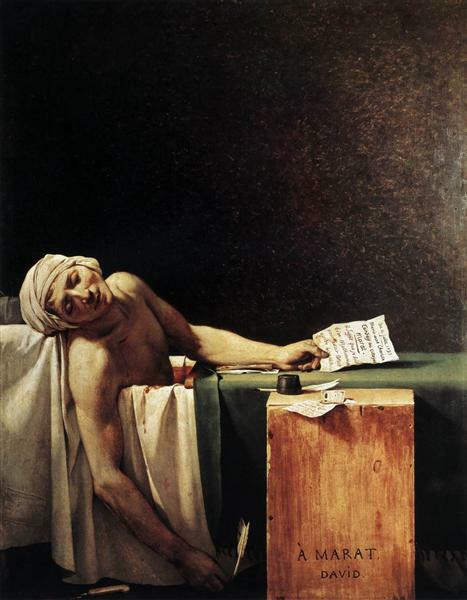 The Death of Marat is designed to commemorate a personable hero. Although the name Charlotte Corday can be seen on the paper held in Marat's left hand, she herself is not visible. Close inspection of this painting shows Marat at his last breath, when Corday and many others were still nearby (Corday did not try to escape). Therefore, David intended to record more than just the horror of martyrdom. In this sense, for realistic as it is in its details, the painting, as a whole, from its start, is a methodical construction focusing on the victim, a striking set up regarded today by several critics as an "awful beautiful lie"— certainly not a photograph in the forensic scientific sense and barely the simple image it may seem (for instance, in the painting, the knife is not to be seen where Corday had left it impaled in Marat's chest, but on the ground, beside the bathtub).